If you have trouble downloading any of these practice sheets, simply call our toll free number 888-211-6933 or email us at info@nelowvision.com. We will be happy to help. 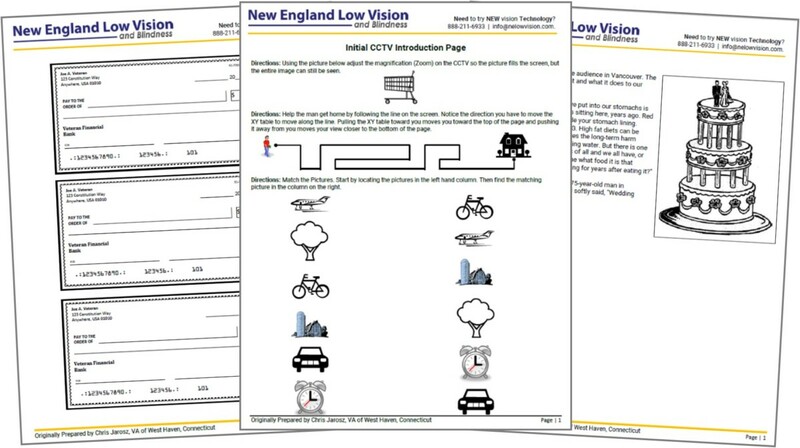 We have two Low Vision Adaptive Technology Showrooms (Massachusetts and Connecticut) where your Patients can experience a hands-on evaluation and training with the latest visual impairment technology.